Well, not that long. We all want to live a long and healthy life. Maximize your personal potential by increasing your Feng Shui good health and longevity energy. Shou is the symbol for Long Life. You will find our Shou Hanger here http://www.yourfengshuistore.com/Shou-Hanger_p_103.html . 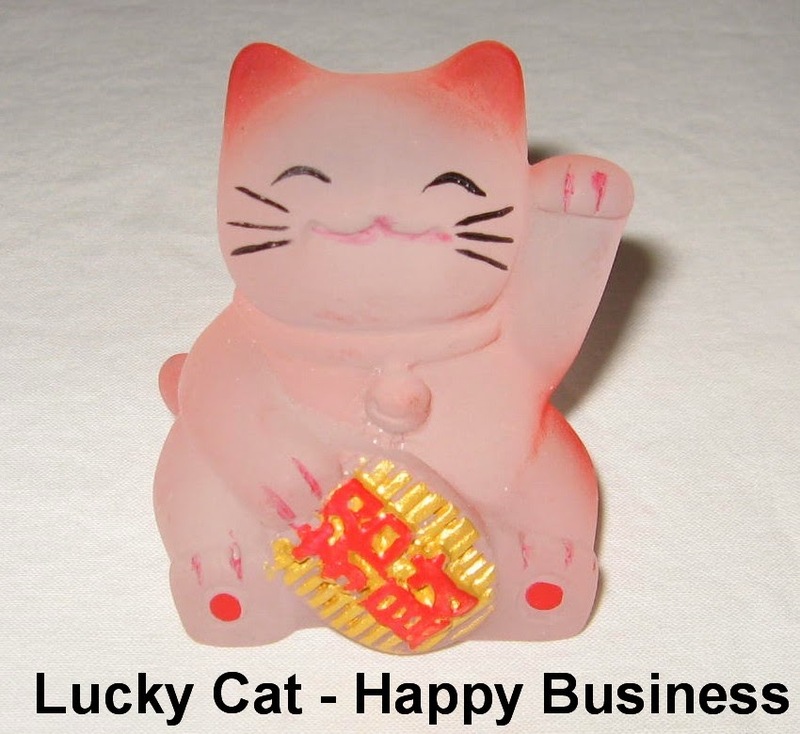 Say goodbye to your empty store or cashbox and say hello to new customers with the Lucky Cat Happy Business. The Lucky Cat Happy Business waves its left paw to customers to call them into your business (even if your customers can't see the cat). You will find our Lucky Cat Happy Business here http://www.yourfengshuistore.com/Lucky-Cat-Happy-Business-Red-or-Purple_p_46.html . Your new Zen Appeal is cleaner, simpler and more user friendly. The product categories are on the left, articles and tip of the month are on top. We now have more payment options for your convenience. Viewing, sorting and searching products is now a breeze. You can create an account so you can save your cart, checkout information, and other goodies. For each product you can zoom the photos, like products on social media, and even write reviews on our website after you've purchased them. You can also ship to multiple addresses in one order, really useful for gift giving. Plus, we have a brand new newsletter. If you're not already a member, you can subscribe through the website. Check out all the new features today at Zen Appeal - Your Feng Shui Store http://www.yourfengshuistore.com . We are so happy to present to you the new and improved Zen Appeal. Please enjoy your new shopping experience at Zen Appeal - Your Feng Shui Store http://www.yourfengshuistore.com . A whole new Zen Appeal experience. Thank you for being a loyal Zen Appeal customer. You will love the big changes coming your way. Don't hold on to dead and dying plants. The negative energy can make you sick or broke. Name and nurture healthy plants but don't get too attached. Fiends are out there, trying to get to your wallet, purse or cash. You must protect your money. Protect and increase your cash flow with our Feng Shui Wallet Coins. It will energetically protect your cash and credit cards from crooks while improving your wealth energy. You will find our Feng Shui Wallet Coins on Zen Appeal here http://www.yourfengshuistore.com/Feng-Shui-Wallet-Coins_p_87.html . A new era in Zen Appeal's history. Please stay tuned for more details. Flying off the shelves this July is the Firecracker Hanger. For the same reasons that people feel the need to light fireworks at this time of year, people are hanging representations of firecrackers in their homes to clear the negative energy in their homes and replace it with positive energy. Just like the lights at Christmas time break up stagnant energy and revitalize your home's energy, the Firecracker Hanger will clear the energy in a room you infrequently use and make your home feel good. 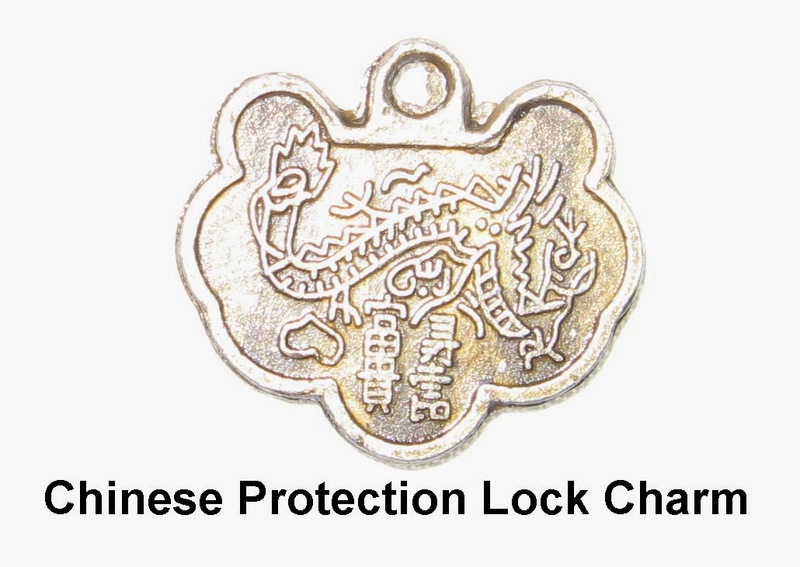 You will find our Firecracker Hanger on our Feng Shui Protection Cures page http://www.bocafengshui.com/fengshuiprotectioncures.html . July's Feng Shui Tip of the Month is our article called "Are your Stove and your Sink getting too cozy? – Stove and Sink Position" Read this month's Feng Shui Tip of the Month here http://www.bocafengshui.com/tipofthemonth.html . Please stop by every month to read our tip before it goes away and is replaced by next month's tip. Hope you enjoy the Feng Shui Tip of the Month for July and our new tip every month. Mark and Leslie, I want to get a Feng Shui fertility gift for a friend. What is the difference between your Fertility Goddess Necklace and Fertility Goddess Key Chain? Thank you for your question. The Fertility Goddess Necklace and Fertility Goddess Key Chain are both Nile Fertility Goddesses, thus they have many of the same Feng Shui properties. Both our Fertility Goddess Necklace and Fertility Goddess Key Chain are for people who want to become pregnant and have a successful pregnancy. The main Feng Shui difference is that the Fertility Goddess Necklace is made of red agate, a stone that helps ease childbirth and protects both mother and baby. It is already cleansed and programmed for you. You will find our Fertility Goddess Necklace on Zen Appeal here http://www.yourfengshuistore.com/Fertility-Goddess-Necklace_p_62.html . Zen Appeal has a page dedicated to special sale items, each available for a limited time only. Sale items come and go without warning, so please check the page often and enjoy the big discounts! Here's the link to the Zen Appeal Sale Page http://www.bocafengshui.com/sale.html . Featured Sale Items include - Feng Shui Wallet Coins, Buddha Fertility Hanger, Fertility Buddha Necklace, Shou Hanger, Chinese Coin Leather Necklace, Ten Commandments Necklace, Firecracker Hanger, Kwan Yin Dragon Necklace, Long Life Character, 3-D Dreams Dream Catcher, Chinese Protection Lock Charm, Money Necklace, Power Silver Necklace on Red Cord, Safety Feng Shui Bell, Jade Wu Lou Hanger, Yin Yang Bagua Hanger, and more! Savings up to 58% off on some items! Some of our most popular items are on sale! Sale Prices starting as low as $.75! All on our Feng Shui Sale page http://www.yourfengshuistore.com/On-Sale_c_23.html . Recently some of our popular items have unfortunately been discontinued by our suppliers. We have limited quantities of the following items available: Venus of Willendorf Fertility Goddess, Jade Ingot Hanger, Red Dragon, Rose Quartz Heart Necklace, Magic Fire Wheel Key Chain, Silver Chinese Coin Necklace, Purple Dreams Dream Catcher, Seduction Candle, Positive Energy Candle, Get Well Gift Set, Shou Hanger, Hamsa with Chai Necklace, Love Thy Neighbor Necklace, Bagua Coin Necklace, Silver Pink Heart Necklace on Leather Cord, Ten Commandments Necklace, Chinese Coin Leather Necklace, Long Life Character, Chinese Calligraphy Bracelet, Power Silver Necklace, 3-D Dreams Dream Catcher, and Silver Floating Heart Necklace. You will find all of our limited quantity items on our Feng Shui Last Chance page http://www.yourfengshuistore.com/Last-Chance_c_25.html. Stop procrastinating and start fixing your life now by scheduling a Feng Shui consultation with Feng Shui Consultants of Boca Raton's Mark and Leslie right now. We will come to your house and talk to you about how your problems relate Feng Shui. We will help you prioritize your Feng Shui goals (life goals). We will walk, with you, through your home and help you apply goal appropriate Feng Shui cures to your home. You will take notes and after we leave make the adjustments you choose. For more information on our Feng Shui services please see our Feng Shui Consultants of Boca Raton Services page http://www.bocafengshui.com/services.html . To make an appointment please e-mail us at BocaFengShui@yahoo.com or call us at 561-376-4730. Want to tell your friend just how much their friendship means to you? Give them our Chinese Calligraphy Bracelet. 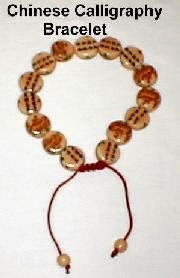 It is a beaded Chinese friendship bracelet. The Chinese characters on the beads say "Our friendship is strong and we hope it will last forever." It’s the perfect birthday gift for your friend. You will find our Chinese Calligraphy Bracelet on Zen Appeal here http://www.yourfengshuistore.com/Chinese-Calligraphy-Bracelet_p_91.html . Recently some of our popular items have unfortunately been discontinued by our suppliers. We have limited quantities of the following items available: Venus of Willendorf Fertility Goddess, Jade Ingot Hanger, Red Dragon, Rose Quartz Heart Necklace, Buddha Fertility Hanger, Magic Fire Wheel Key Chain, Silver Chinese Coin Necklace, Purple Dreams Dream Catcher, Seduction Candle, Positive Energy Candle, Get Well Gift Set, Shou Hanger, Hamsa with Chai Necklace, Love Thy Neighbor Necklace, Bagua Coin Necklace, Silver Pink Heart Necklace on Leather Cord, Ten Commandments Necklace, Chinese Coin Leather Necklace, Long Life Character, Chinese Calligraphy Bracelet, Power Silver Necklace, 3-D Dreams Dream Catcher, and Silver Floating Heart Necklace. You will find all of our limited quantity items on our Feng Shui Last Chance page http://www.yourfengshuistore.com/Last-Chance_c_25.html . People who want to protect their good health. People who want to stay healthy. People who are concerned about their health. People who are ill and want to recover quickly. Carefully following the instructions that we give you when you purchase it, and depending upon the above situation, hang or carry your Jade Wu Lou Hanger. You'll find the Jade Wu Lou Hanger on our Zen Appeal Feng Shui Health Cures page http://www.bocafengshui.com/fengshuihealthcures.html . Feng Shui Consultants of Boca Raton and Zen Appeal have added July's Feng Shui Tip of the Month. Please visit http://www.bocafengshui.com/tipofthemonth.html to read it and find out about Feng Shui Stove and Sink Positions. The position of your stove and sink in your kitchen has great importance in Feng Shui. This article tells you how you can use everyday items and Feng Shui items to make major Feng Shui adjustments to your kitchen without moving your appliances. Here's the beginning of the article, to get you started: In Feng Shui, the stove is important and its position relative to the sink is also important. In the kitchen some people have their stove and their sink a little too close for comfort. The stove represents the Fire element which, in the kitchen, represents money. Please visit http://www.bocafengshui.com/tipofthemonth.html to read the rest of the Feng Shui article. Our July Sale items have been added http://www.yourfengshuistore.com/On-Sale_c_23.html . Our Summer Deals have arrived. Some of our new sale items include our Feng Shui Wallet Coins, Buddha Fertility Hanger, Fertility Buddha Necklace, and our Shou Hanger. Please visit our Zen Appeal Feng Shui Product Sale page http://www.yourfengshuistore.com/On-Sale_c_23.html to see all the great discounts for yourself. Savings up to 58% off on some items! Some of our most popular items are on sale! Sale Prices starting as low as $.75! Don't forget, Free Shipping for all orders $50 and over.